Not so long ago I was on the spot to record this rather delightful image. 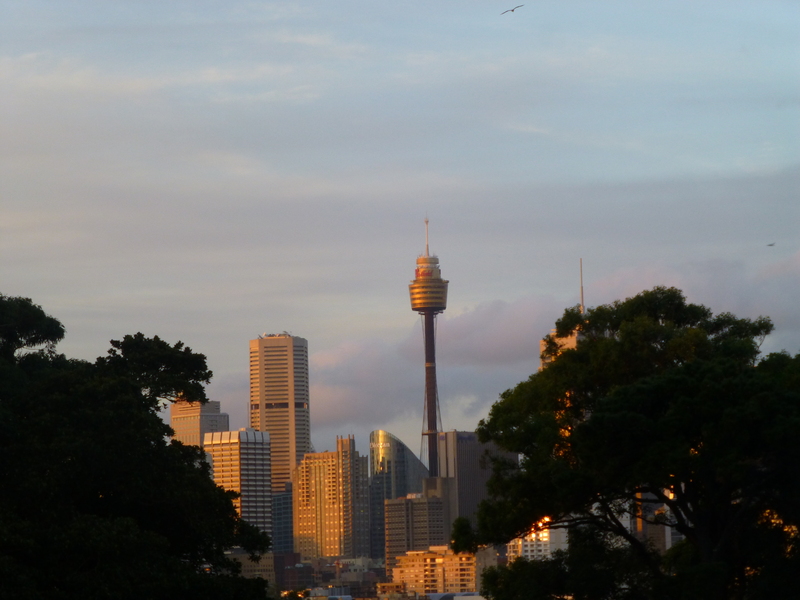 The sun going down created a warm glow, highlighting the Tower, especially. For those not familiar, this Tower is in the heart of the city of Sydney.